Induction hobs are extremely safe. You can't forget the gas is on, and you can't burn your hands, as the hob only heats when the magnetic pans are placed on top. While with Ceramic Hobs the whole cooking zone heats up, with induction only the pan warms, making it the safest option around. Cleaning is incredibly simple - just wipe away any muck with a wet cloth, then go over it every now and then with some glass cleaner. It's worth noting that you'll most likely still need space for ventilation, and potentially additional wiring too. 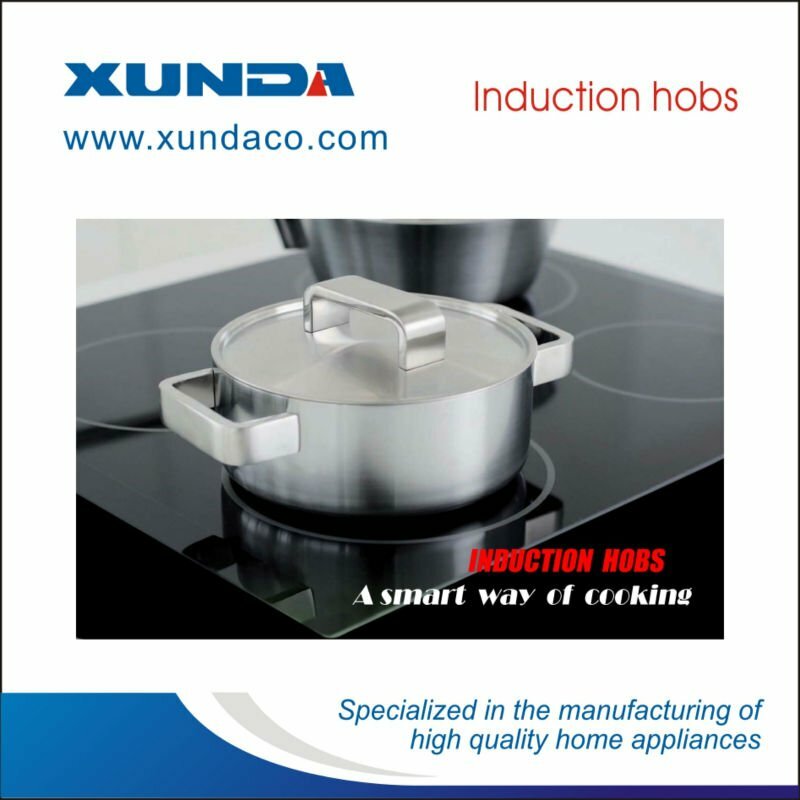 Xunda group was established in year 1984, which professionally manufacturing kitchen appliance in China. Our main products are table gas cooker, gas hob, cooker hoods, gas water heater, hotplate, camping stove, oven and biogas products. We are ISO 9001, ISO 14000 and SA8000 certificated company. Using patented technology-whirlwind flame, our gas cooker win the honor of TOP TEN BRAND in China. Our products are sold to more than 70 countries world-wide. Xunda Science& technology group co., LTD. is a collection of scientific research, production and sales, which is one of the original type of high-tech private enterprises, located in the Xiangjiang river shore of the great man hometown - Xiangtan, the massive Xiang Chu culture gave birth to the newsletter's honest, and trustworthy, efficient, rigorous, innovative management style. in 1984 by the company founder, the first national excellent entrepreneur WuShangKui , borrowed 2000 yuan to set up the new product development research institute of xiangtan. With his courage, wisdom and indomitable fighting spirit. The enterprise develops and expands marketshare step by step. Hunan Xunda group was founded in 1992 based on xiangtan new product development research institute. , Hunan Xunda group co., ltd. was founded in 1997. Xunda group was founded in 2007. At present, Xunda has Xunda technology group co., LTD., Hunan group sales co., LTD., Hunan xunda science and technology group import and export co., LTD., Hubei industrial technology co., LTD., xiangtan schindler hutch ark co., LTD., xiangtan dealership, kitchen electric appliance co., LTD., a wholly owned subsidiary, such as its state. Schindler has Hunan science and technology park, Xunda Hubei renewable energy industry science and technology park. At present, the company has 720 mu of land area, total assets of 1.086 billion yuan, and annual sales of 1.5 billion yuan. The number of employees has increased from 5 to more than 2000, among which all kinds of high-tech, sophisticated and cutting-edge talents account for 30%. The enterprise actively advocates the combination of production, learning and research, and through cooperation with professional colleges and universities, the enterprise's research and development and independent innovation ability is further consolidated and strengthened. The company has adopted new technologies, new materials and new technologies to accelerate the transformation of new product development and research results. Now, the company has 147 independent intellectual property rights. In 2004, the company was identified as "the second batch of national pilot enterprise patent pilot work unit", was in the Patent Office listed in the "patent intellectual property protection unit", in December 2004 in Hunan province.also is: "Hunan province key high-tech enterprise", in October 2006, Xunda technology center was identified as Hunan province industrial enterprise group of 12 provincial technology center, in November the same year as an innovative pilot enterprises in Hunan province. In December, Hunan gas tools engineering technology research center was established. In 2011, it was awarded "national recognized enterprise technology center". The company adheres to the business philosophy of "creating value for customers on the basis of integrity" and takes the road of integration of science, industry and trade. At present, the business scope of the enterprise group to hutch defends series product development, production and sales both at home and abroad as the leading factor, engaged in automobile trade, services, real estate development, ecological agriculture and so on, its products include all kinds of gas source for the fuel gas stove, gas water heater, household appliances, such as oil absorption, sterilized kitchen cupboards, bath bully, Induction Cooker, and the integral ambry, utensils, and other series products. In October 1998, the company became a national one of the first obtain mouth self-manufactured products of private enterprises, in January, 1999, the company in the industry took the lead through the ISO9001 international quality system certification, ISO14001 international environment system certification, 2000 international quality system certification, SA8000 social responsibility system certification, product won the CE, SASO, SONCAP and other international certification qualification. 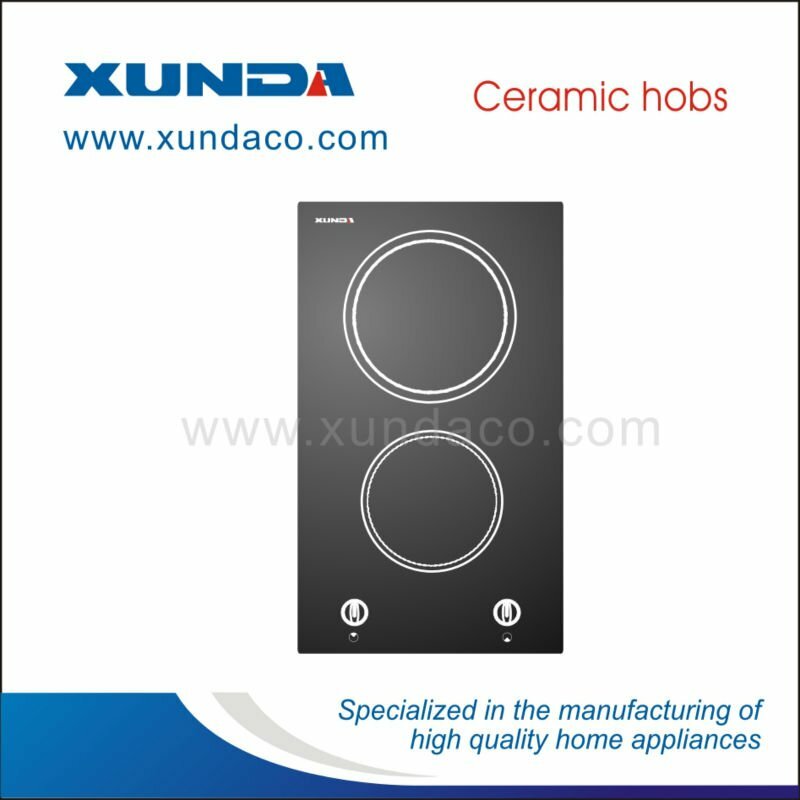 This marks Xunda gas stove and series of products have reached the world's advanced level. Companies adhere to the "intention to create, Xunda China," the quality policy, has won the "national customer satisfaction product", "the second prize for quality management in Hunan province", "national product quality service reputation guarantee company", "Chinese famous brand products", "China well-known trademark", "Hunan famous international famous brand" "enterprise technology centers recognized by the international" and so on. After 13 years development, Xunda products sell well all over the country and exported to Europe, America, southeast Asia, more than 70 countries and regions. "Xunda" brand has registered in more than 30 countries, the company export scale has grown from more than $99 in 70 to nearly 20 million in 2012, the main gas stoves exported, the top three in the industry. The company adheres to the tenet of "business success is based on reality, faith is based on honesty", and always adheres to the business philosophy of "integrity as the basis, create value for customers". It is committed to safe production, law-abiding operation, and has been committed to environmental protection, to create energy-saving, environmentally friendly gas cookers.